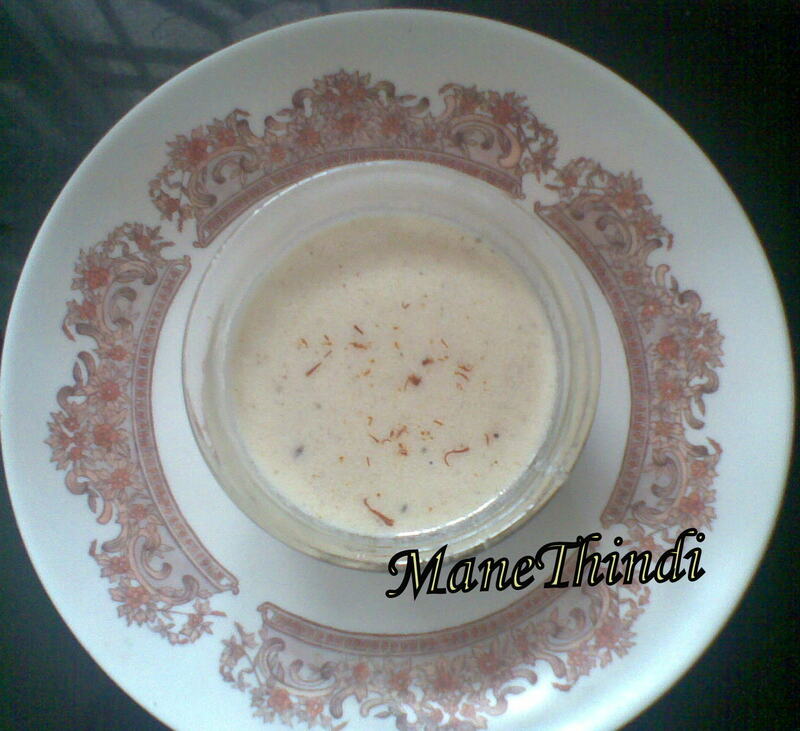 Poppy seeds kheer /Gasagase payasa is a karnataka special prepared during the festivals. Fry poppy seeds and rice until they turn crisp and lightly change their color. Finely powder the roasted poppy seeds and rice in a mixer without adding any water. Add grated coconut, dry copra, some water and grind it to a smooth paste. Boil Jaggery separately in about 3 cups of water.Now transfer the ground contents and boil again for 6-10 minutes.Strain the residue if any. Add warm milk with saffron and mix well. Season with dry grapes and ghee.